This study demonstrated that a whopping 82% of all people suffering with headaches actually have a cervicogenic problem, meaning that the symptoms are coming from nerve irritation in the neck, which affects the muscles and the blood vessels that go to the brain. There’s an excellent chance that the headaches that you endure are also cervicogenic in nature, meaning that you can be free of them without drugs or surgery. If you or someone you love suffers with headaches, I urge you to come in as soon as possible. Allow us to evaluate your condition through skillful analysis of your neck through X-ray examination. 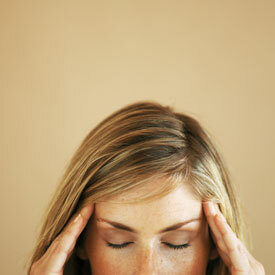 Chiropractic excels in the treatment of headaches! Once we’re able to gently remove the pressure on the offending nerves, we’ll be able to re-establish normal nerve supply to the muscles and blood vessels in the area so that they can do their job without interference. The result? The calming of the nervous system and a headache-free life.